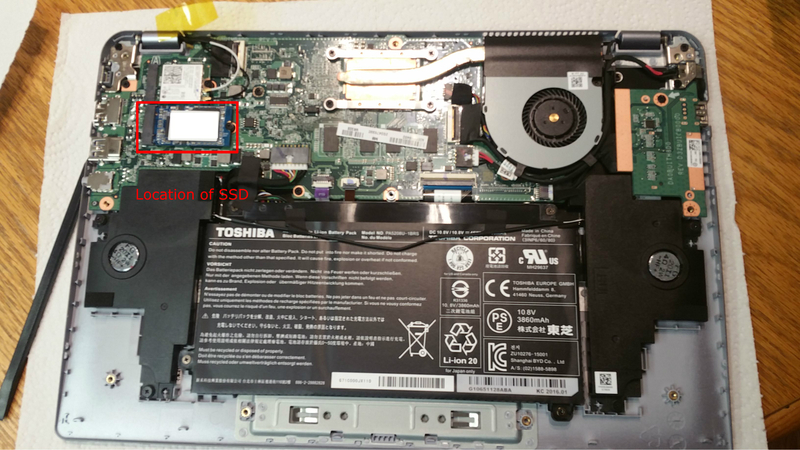 The Toshiba Chromebook 2 (2015 Model) does not come with much storage by default. Both the CB35-C3300 (Celeron 3215U) and the CB35-3350 (Intel i3-5015U) Broadwell models only come with 16GB of onboard SSD memory. However, the good thing about these models in comparison to the previous years CB35-3330 Haswell models is that storage can be upgraded! Keep reading for more information on how to swap the default SSD to a bigger, better one. 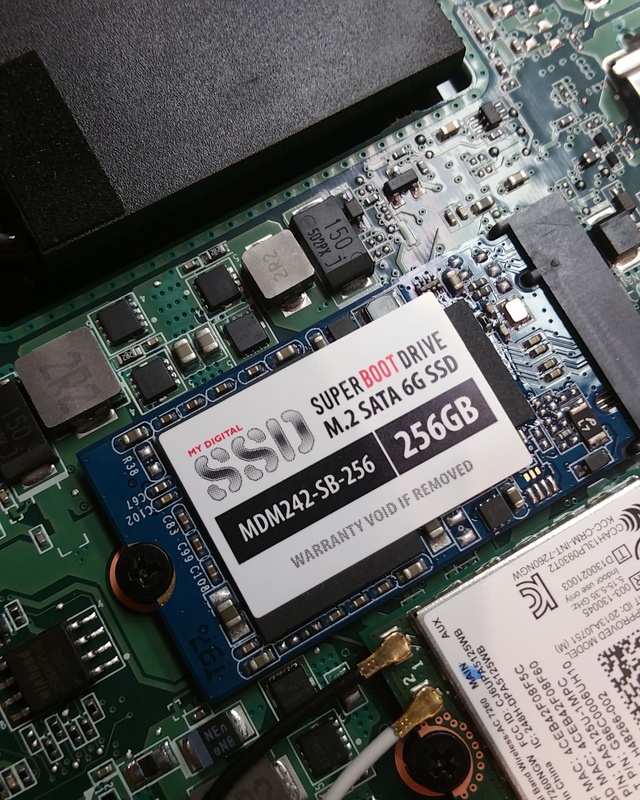 There are several reasons why you might want to upgrade a Chromebook’s SSD. Linux. If you plan on installing Linux on your Chromebook, the default 16GB it comes with will usually not be sufficient. This is especially true if you would like to install a lot of Linux applications and software. Installing Linux on a USB or an SD card will also be slower than installing it on an SSD. File storage. If you would like to store movies, music, and videos. This will save space on your Google Drive and allow you to access all of your files without an internet connection. MyDigitalSSD 42mm SATA III m.2 SSD (256 GB) – I used this. This item is often out of stock. MyDigitalSSD 42mm SATA III m.2 SSD (128 GB) – This item is often out of stock. 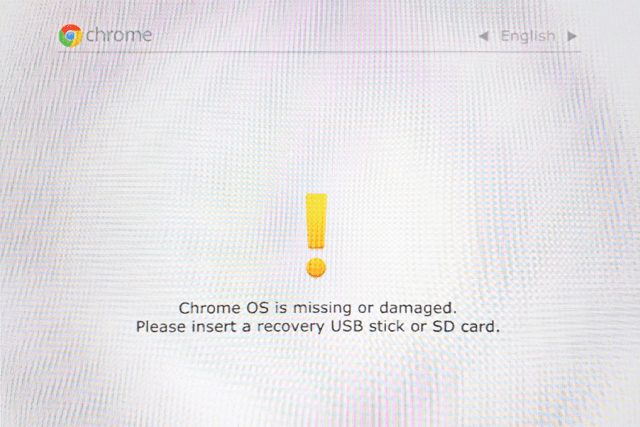 The first step is to backup your Chromebook’s Google OS by creating a recovery USB. We will do this using Google’s free recovery tool and a quality USB or SD card you don’t mind erasing. I personally recommend using a USB rather than an SD Card. Either way, the USB or SD card you choose must be at least 4GB in storage capacity. Once installed, start the app and insert your USB or SD Card into your computer. Click “Get Started” and type in the model number that is shown for your specific model. I would also write this number down elsewhere in case you lose your recovery media. 3. After you have typed in your model number, click “Continue”. IMPORTANT: All of the data on the USB or SD Card will be deleted if you continue. Make sure the media you’d like to use for your recovery is listed. Click the “Create now” button. The tool will then create the recovery image on your selected media. This process should take about 15 minutes. Don’t remove the flash drive or SD card while this is happening. After you see the message saying that your recovery media is ready, you can remove it from your Chromebook. Power off your Chromebook for the next step. Make sure your Chromebook is off and you are doing this upgrade on a suitable surface to avoid static electricity which can harm your device (ie. do not do this on a carpet). 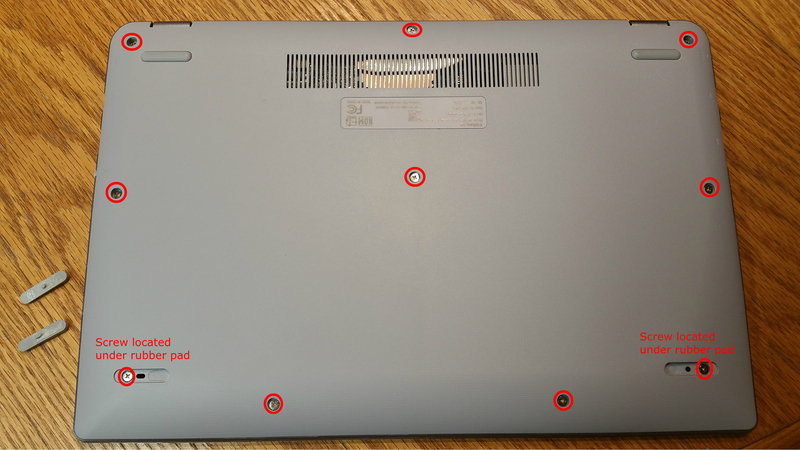 Set your laptop with the back cover facing up. 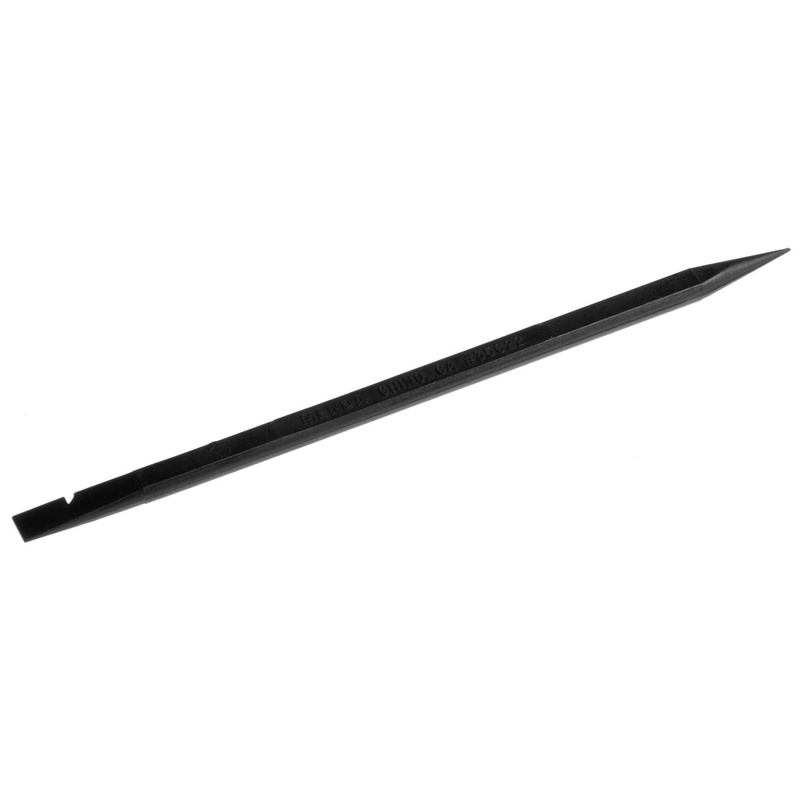 See below image for the screws you will need to remove with your standard Phillips screwdriver. You will need to remove two rubber feet with your flat tool to get to the two other screws. 4. This is the location of the SSD. It is held down by another screw that you will need to remove. Once removed, gently pull it away from the connector. 5. To install the SSD you purchased, simply insert it into the connector making sure it lines up. Re-install the screw to make sure it is held down. 6. Gently re-attach the cover screwing in any necessary screws and place the rubber feet in their respective slots. You have now successfully replaced the SSD! 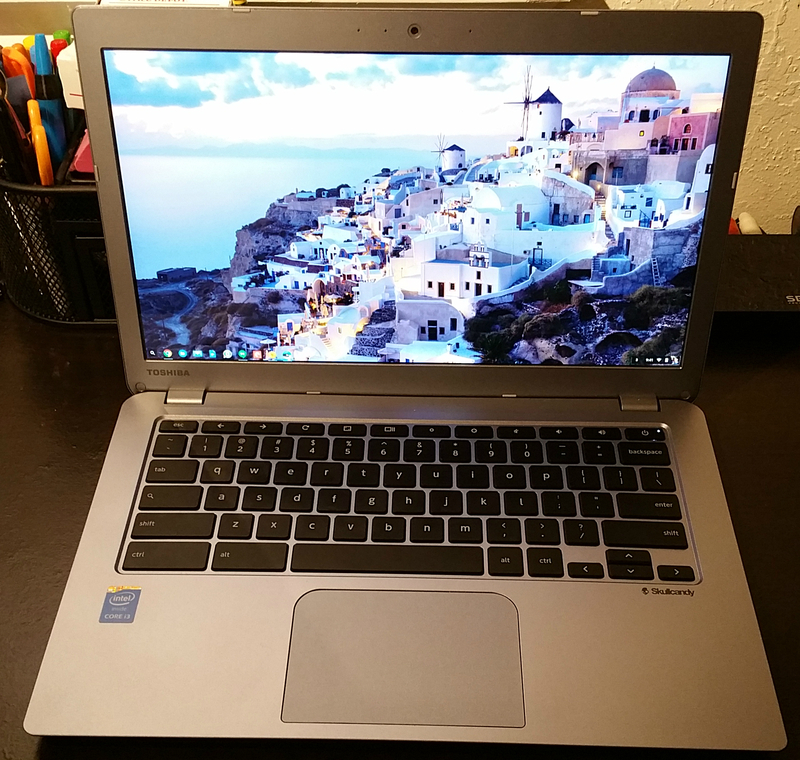 We will now restore Chrome OS on the Chromebook. Power on your computer. You will see a screen that looks like this, but don’t worry we are going to restore it. 2. Insert the recovery media (USB or SD) you made earlier into the computer. The Chromebook will restore the OS using the recovery media. It should take about 15 minutes. Do not remove the USB or SD card until the process is complete. Note: If you are having issues with recovering from a USB. Try both USB 3.0 and USB 2.0 ports as well as a different USB. 3. To make sure your Chromebook recognizes the HDD you just installed you can try either of the below methods. Press enter. You can confirm that Chrome OS recognizes your new SSD. 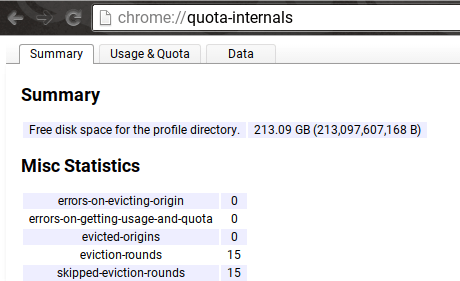 Note: My Chromebook already has space taken up due to movies I have loaded up onto it. Press enter and find (CTRL+F) “storage_info” and expand the section. As you can see it correctly states that I have 240GB installed on my system. Now that you’ve upgraded your internal storage, what comes next? Switching update channels is a way to get the latest features before they roll out to everyone. For example, if you have a compatible Chromebook, you can install android apps on your Chromebook . Learn how to switch update channels using my guide here . 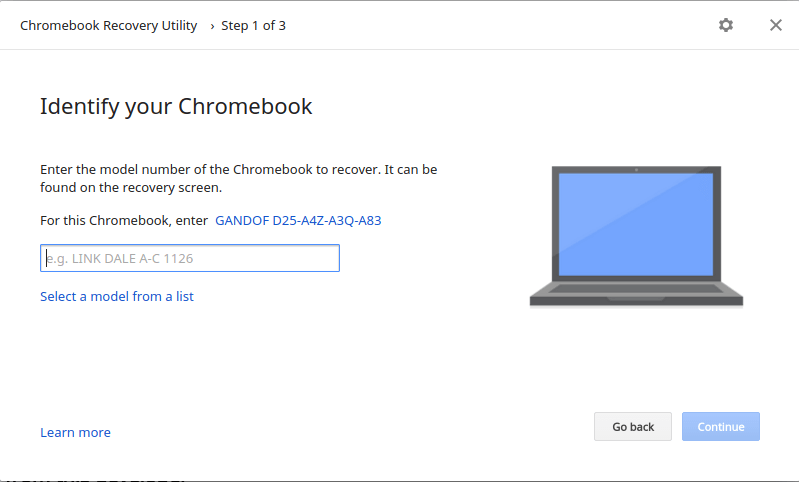 Putting your Chromebook into “Developer Mode” will allow you to have full root access, including the ability to modify your Chromebook’s system files. This is often used to install a Linux system alongside Chrome OS like Crouton. To enable developer mode, follow my guide here .